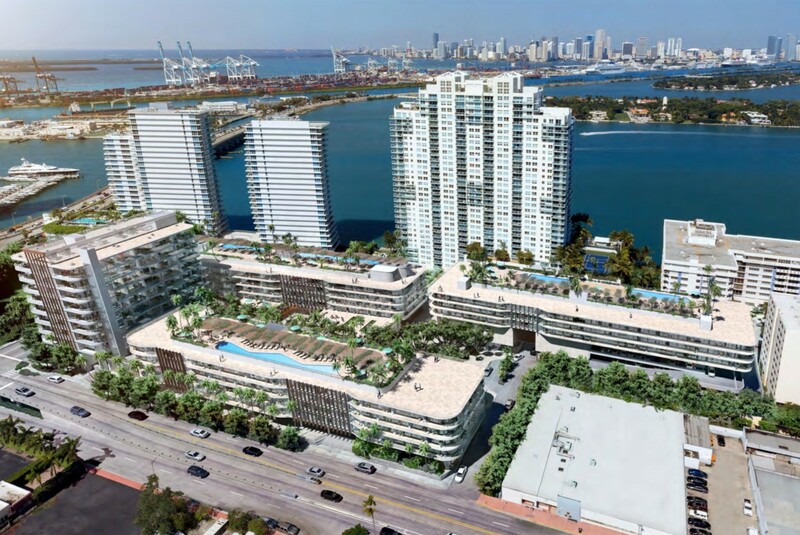 Developer Russell Galbut has come up with three proposed options for the site of the old South Shore Hospital at 600 Alton Road and the two adjoining blocks that include a large public space to be deeded to the City of Miami Beach. 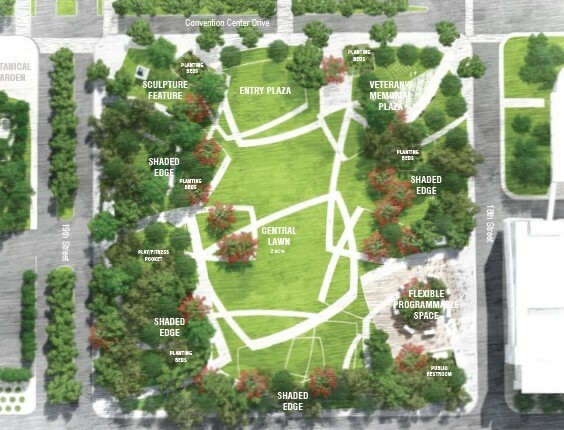 In addition to the already approved plan for the site, Galbut will meet with West Avenue residents next week to discuss the alternatives which include a tower of varying heights complemented by the park. Approved for the 600-700 block now, four buildings ranging in height from 5-7 stories. The 500 block may also include a 7-story low-rise. Option 1: A 36-story residential tower on the 500 block; an office building in the current South Shore Hospital structure and a four-story apartment building with ground floor retail. It includes a park running north-south from the 500-700 blocks along West Avenue. Option 2: A 42-story tower on the 500 block; demolition of the old hospital building and a four-story apartment building with a larger area of one-story retail on the east side of the 600 block along Alton Road; a park running north-south from the 500-700 blocks along West Avenue. Option 3: A 50-story tower on the 500 block; demolition of the old hospital building and a one-story retail building along the 600 block of Alton and the park running north-south from the 500-700 blocks along West Avenue. The tower on the 500 block will be situated in the northeast quadrant of the block and built in an elliptical shape to minimize its impact on its neighbors which include the 25-story Bentley Bay and 40-story Icon. The options would move the allowable density within the site to the taller tower. To do that, the City would need to increase the allowable height on the parcel from its current 75 feet. 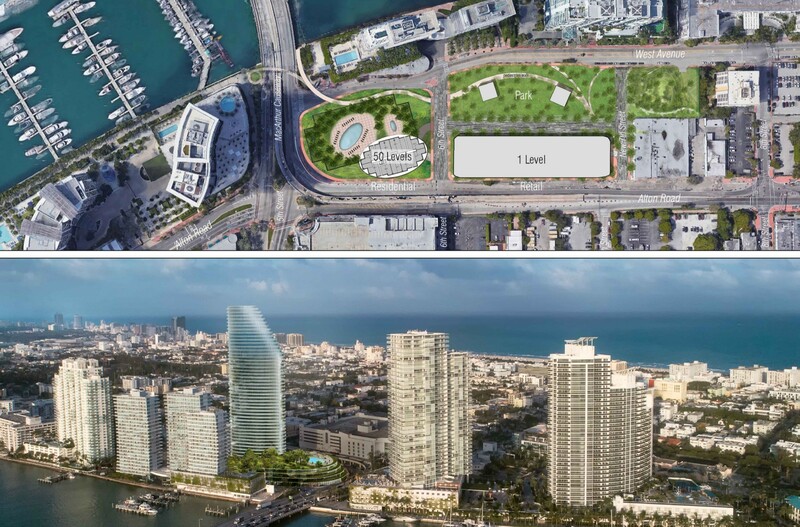 The size of the public park increases with the size of the tower and could be more than 3.5 acres, deeded to the City. For comparison, the Belle Isle Park is approximately 3.2 acres. 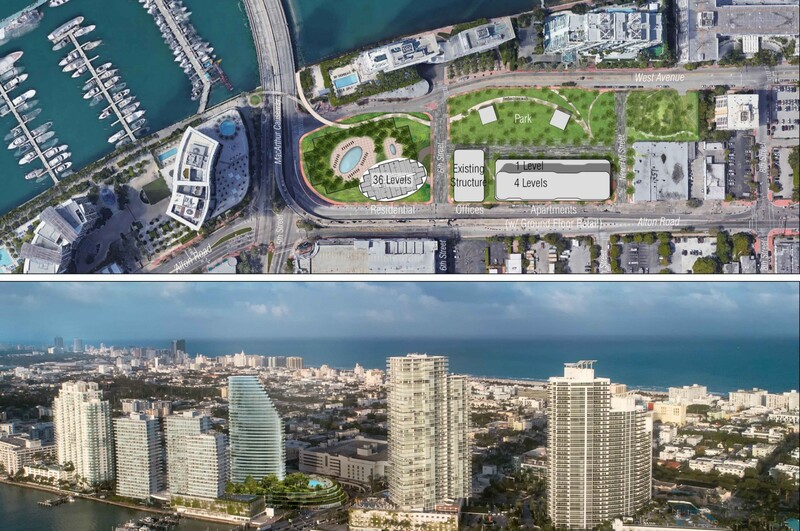 In addition, the alternative options provide space for another exit lane from Alton Road to the MacArthur Causeway to ease the traffic congestion in that area. The skeleton of the abandoned South Shore Hospital looms on the 600 block, highly visible on the Alton Road flyover from the MacArthur Causeway. Built in 1967, the hospital fell into debt in the 1990s and was purchased by Galbut’s Crescent Heights in 2004.